C'mon down and join us! It's on the bar-b-que, ready to enjoy! 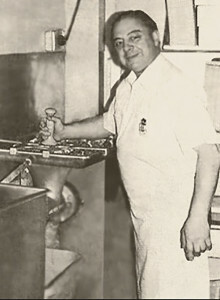 Back in 1992, when my dad, Sam Carlino, Sr., and I opened Sam’s Bar-B-Que, we wanted to offer our friends in San Jose the warm tastes of slow-cooked bar-b-que just the way we made it at home. Hungry for real Kansas City style baby back ribs? How about Carolina pulled pork, seasoned to perfection? From tangy Southwestern chicken to hand-cut rib-eye steak, we’ve got what you’re hungry for, and it’s been smoked for hours over oak wood, with those savory juices and flavors locked in. Come on in and indulge in some of the best barbeque you’ll find west of Texas. What’s in our BBQ? A whole lotta yum. We offer an array of barbeque meats from regions across the country. We use only the freshest ingredients, and all of our meats are slow-cooked with real wood-fired smoke that locks in the flavor and seals in the meat’s natural juices. 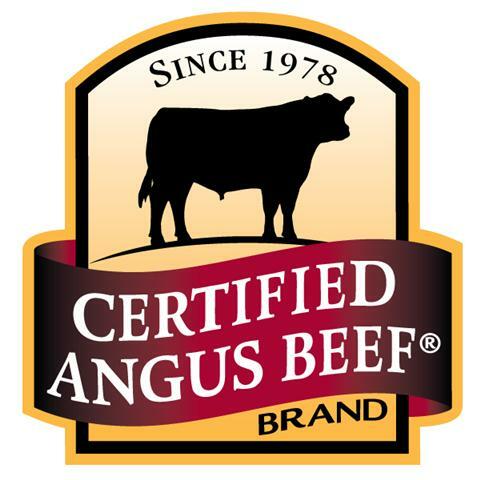 We use only USDA Choice Certified Black Angus meats. We grind our own hamburger from USDA Choice cuts of chuck. We make our own homemade Italian sausage, using fresh pork. We cut all of our bone-in cowboy steaks by hand from USDA Choice cuts of rib-eye. Our Baby Back Ribs are specially ordered to be extra meaty and extra big. Those same Baby Back Ribs turn a pinkish color due to the hours of slow cooking in our BBQ ovens. Our Carolina-style Pulled Pork is slow smoked 16 hours and enlivened with authentic Carolina seasoning. We slow-smoke our Prime Rib after 5 pm every Friday and Saturday night. 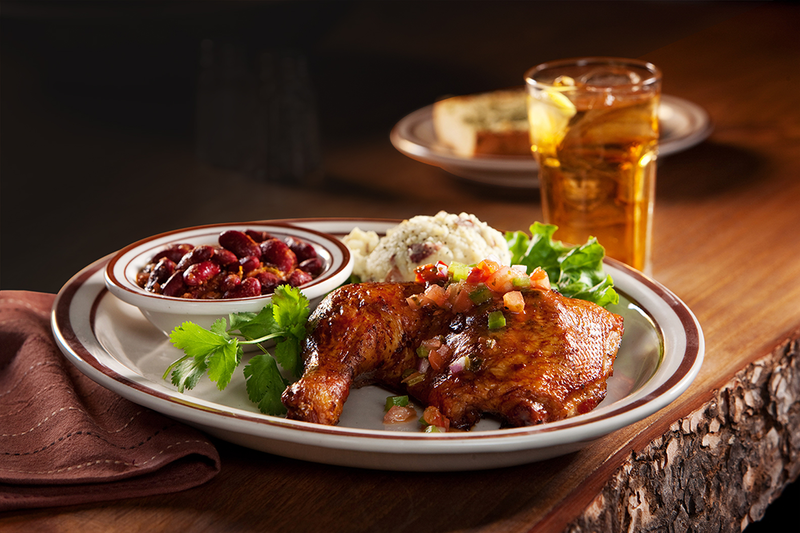 Our chicken is marinated in our own homemade salsa blend and stuffed under the skin to lock in the southwest flavor. We pour award-winning wines from local vintners around the Bay Area. Have you fallen in love with our sweet-tangy BBQ Sauce? 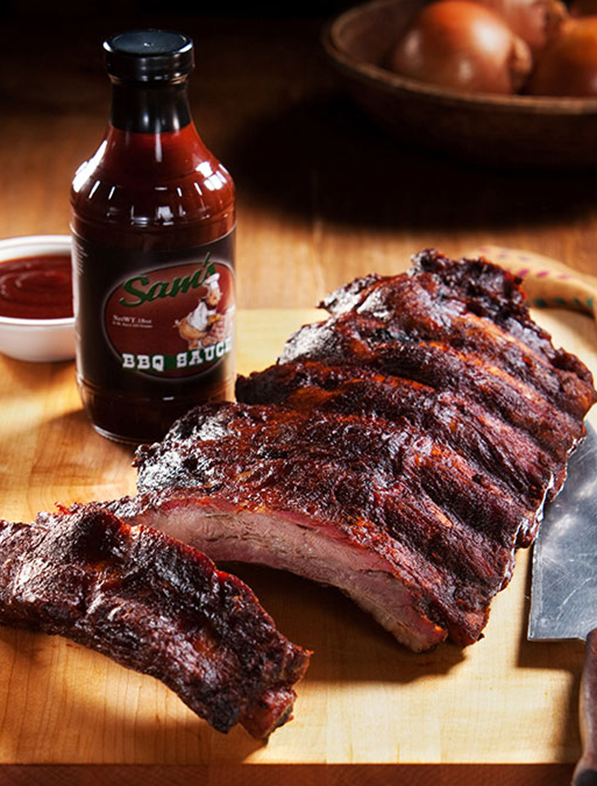 Now you can take home the rich, smokey flavor of our delicious sauce, voted Best BBQ Sauce by Home Magazine, and pour a little bit of that Sam’s goodness on your home dinners. All goods and services are priced for cash payment. Purchases made with a credit card will receive a small non-cash adjustment, which will be displayed on their receipt.